Counselling Process: The process involved in Counselling are Registration, Document #Verification, Filling Preference Form, Seat Allotment, Reporting to Alloted College. 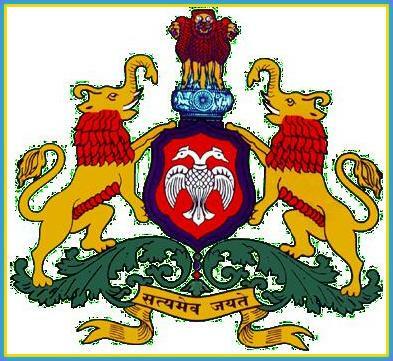 Seat Allotment: Applicants will be allotted seats as per ranks acquired in Karnataka PGCET 2019, preferences of college and course. Registration of a Candidate, Interactive Session for options entry and assignment of User ID and Password. Entry of Options by Candidates. Detailed Instructions and guidelines about online allotment of seats. Illustration for Allotment of Seat. Process of Allotment of Seat. Post Seat Allotment Procedure – Choice Before a Candidate. Remittance of fees, downloading of admission orders, Admission/ Reporting to the college, Reporting college joining details to KEA through online. Note to candidates who have paid an excess fee. A note on refund and forfeiture of fee/ Cancellation of a seat. The allotment of seats will be conducted in the following two rounds and each round consists of three phases and each phase consists of the number of iterations. After the last date and time fixed for entering the options is over and as per the seat matrix issued by the Government, action will be taken to allot the seats in the order of merit based on the priority of the options entered by the candidates and by following the reservation policy of the Government. The computer begins allotment with the Special Category seat for Physically Disabled and ExDefence. General Merit category candidates will be considered only in the General Merit quota. The rank list will be invariably followed for allotment of seats. All Reserved category candidates will first be considered for allotment in General Merit as per their merit and rank and as per the options are given by them. Phase 1- Based on the merit and priority of options the first phase of allotment begins. Phase 2- Based on the merit and priority of options the second phase of allotment begins. Phase 3- After the allotment of seats in the second phase of allotment, the seats that remain unfilled under various reserved General categories such as SCG, STG, 1G, 2AG, 2BG, 3AG, 3BG, along with unfilled special category seats will be filled in this phase. After completion of 1st Round seat allotment, all the unfilled/ surrendered/ forfeited/ canceled/ newly added seats, if any, will be offered as Casual Vacancies. All candidates who have entered Choice 2 and 3 will be eligible to participate in this round. Allotment of seats in the Second Round will be that of the same with regard to the order of allotment followed in the First Round. Final print out of the 2019 Online Application Form. Original Copy of the Chalan for having paid the fees. Degree Marks Card of all the Years/ Semesters. Degree Certificate/ Provisional Degree Certificate/ Course completion certificate. Minimum 3 years work Experience Certificate (for Part-time candidates) (work experience certificate should include the name of the organization, date of joining, designation, working period, no objection condition etc.,) As per the format. Parent’s study certificate/ Parent’s Hometown certificate/ (Parent’s Domicile certificate/ Parent’s Employment certificate/ Parent’s Cumulative Record/ Parent’s Marks Card, etc.,) for the candidates claiming eligibility for Government seats based on the (domicile)/ study / (employment) of the parent. Candidates claiming Hyderabad-Karnataka Region Reservation must submit the certificate in Annexure – A issued by the concerned Assistant Commissioner during document verification. Do I have to carry photocopies of the documents? Yes, candidates have to carry original copies and photocopies of the documents. Do I need to submit the print out of the PGCET 2017 application form during the counselling process? Yes. Candidates have to submit a print out of the PGCET 2017 application form during the counselling process. I do not have the original copies of my documents. Can I attend the PGCET 2017 counselling process? The candidates are required to bring their original documents as well as photocopy of the documents for the PGCET 2017 counselling process. Do I have to submit all the marks cards from primary to 12th in Counselling of PGCET 2017? No, you don't have to. If you submit these 2 marks card it will be enough. I have all the original documents that need to be submitted. Is that enough for Counselling in PGCET 2017? The set of documents needs to be carried in original as well as photocopy for counseling in PGCET 2017. Eligibility is decided only if submitted documents are legitimate. What are the Certificates to be provided during the time of counselling in PGCET 2017? How is the allotment of seats done in PGCET? The allotment of seats will be done as per the Seat Matrix. The General Category and Reserved Category seats under Government Seats shall be allotted to only those candidates who qualify as Karnataka candidates. The General category seats under Management Seats shall be allotted to both Karnataka and Non-Karnataka candidates. Hey, May I know the stages of counselling in PGCET exam?